This sugar- and dairy-free dessert is so simple and quick to make, and guaranteed to impress. By using raw chocolate and only a small amount of honey you get a mousse which is rich in flavour and not overly sweet, but even kids love it. You could use organic store-bought almond or coconut milk, but I much prefer the flavour of homemade. You can make coconut milk by blending 160g fresh mature coconut flesh with 350ml hot water and then straining it through a nut milk bag or muslin cloth (this will make 420ml of milk.) 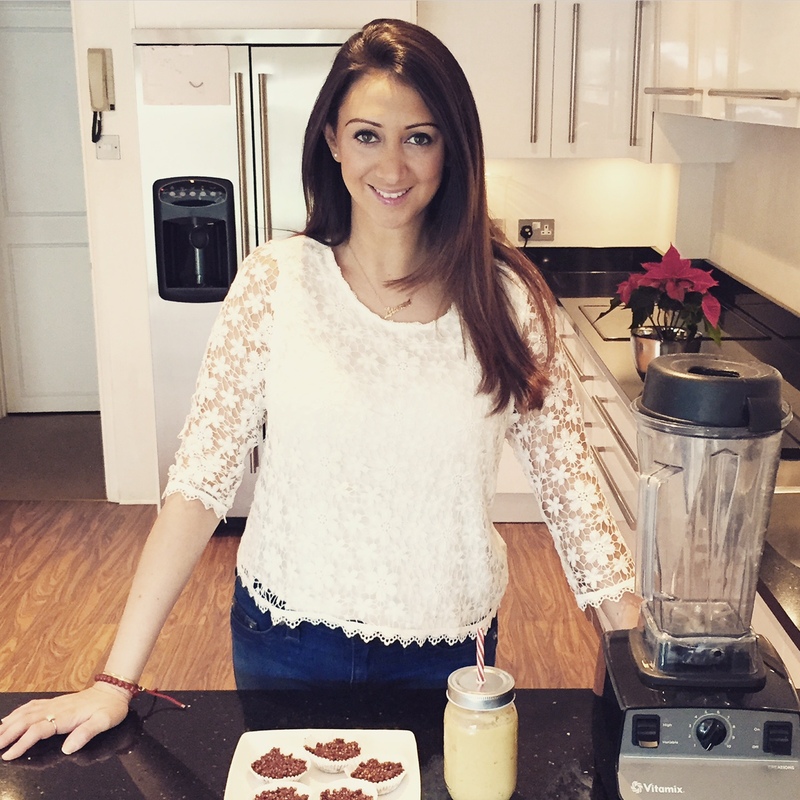 Check out the link below to see how to make almond milk. If you’ve made the coconut milk yourself it should still be hot. If not, warm the milk in a saucepan until just below boiling point. Pour it into a high-speed blender, along with the chocolate, honey, coconut oil, salt and vanilla. Blend until the chocolate is melted and is well combined. With the blender running, pour the eggs into the blender through the hole in the lid. Continue to blend for another 2 minutes. At this point there should be steam coming off the mixture, thanks to having heated the milk, as well as the friction from the blender heating it further. Therefore the eggs will be cooked. Pour the mousse into a pretty serving dish, or into individual bowls (I used champagne glasses.) Allow to cool to room temperature, then cover with clingfilm and refrigerate until set, preferably overnight. If you’re in a hurry you could place it in the freezer for a couple of hours and then transfer to the fridge. 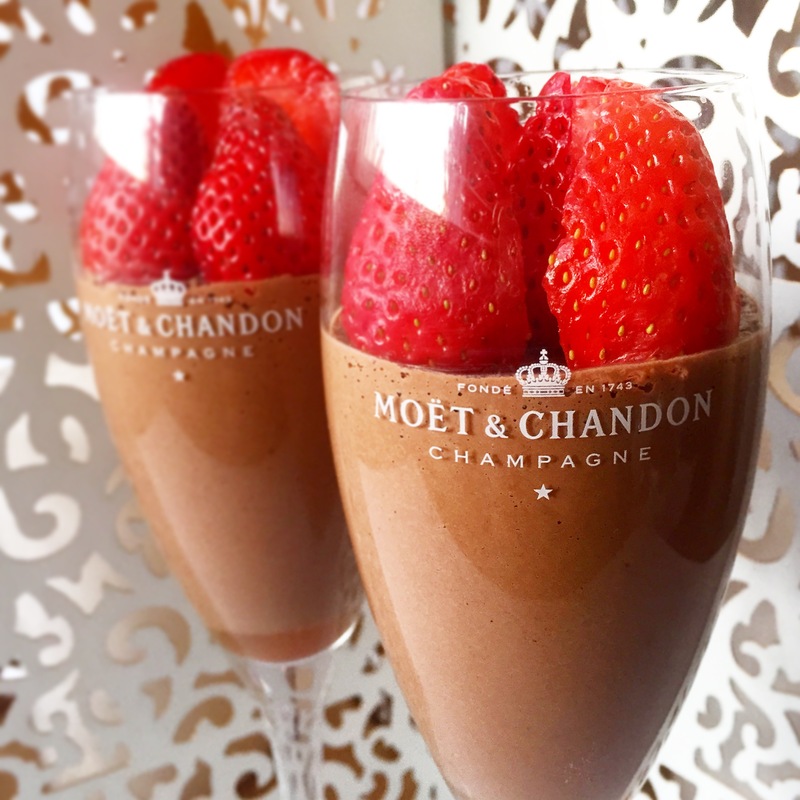 To serve, place halved strawberries on top of the set mousse. what a feast for the eye and the palate .. beautiful! !